This spring, ioby and Eastern Market are partnering to present the Eastern Market Growing Communities Matching Grant Challenge. We’re offering 17 awesome local food entrepreneurs the chance to double the donations made to their projects on ioby’s website between now and April 3—dollar for dollar, up to $250 per donation, and up to $3,000 total. Here’s a closer look at one of fabulous projects getting underway now. 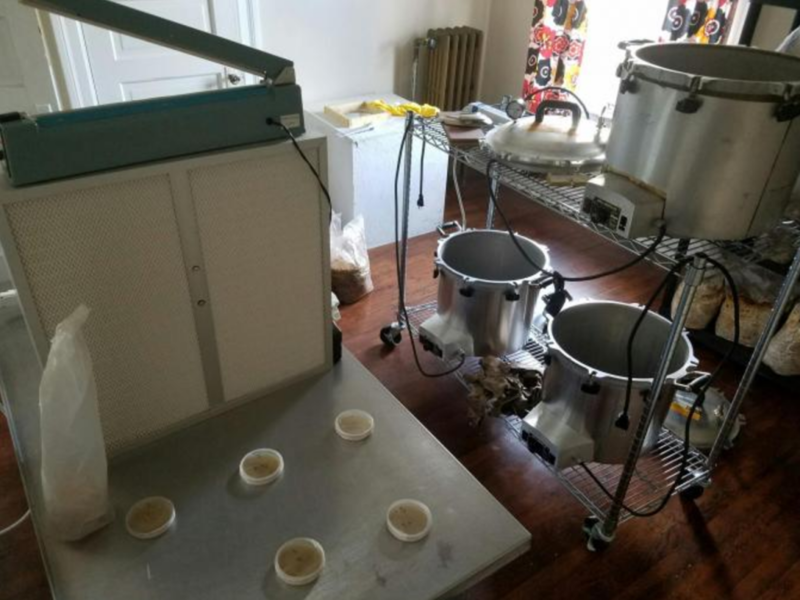 “Sometimes people walk into our 100-year-old house, where mushroom production is going on in every room, and they get a little weirded out!” says Deana Wojcik, Chris’s partner. Indeed, fantastical-looking fungi can appear more like something out of Dr. Seuss than an item you’d want on your dinner plate. But it’s Deana and Chris’s mission to dispel the weirdness around mushrooms and spread the word about the good nutrition, flexible farming options, and rich culinary possibilities they offer. 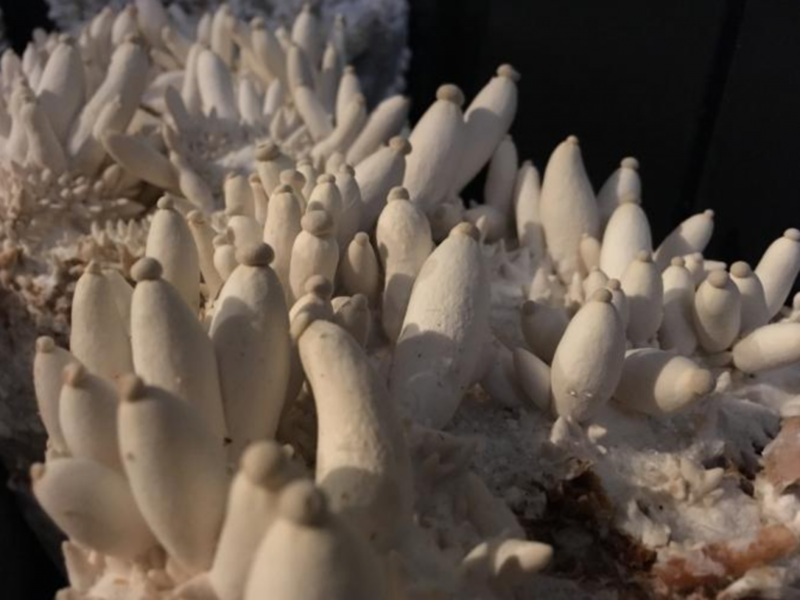 The Detroit Mushroom Factory, their urban farm, grows several types of edible and medicinal mushrooms, year-round, on recycled materials produced locally—like sawdust from a furniture maker and grain from a brewery. Then they sell them at Eastern Market on Saturdays and to local shops and eateries. Currently, Deana and Chris produce mostly fan-shaped oyster mushrooms (which Chris describes as “most people’s introduction to the gourmet mushroom world—which is really everything beyond the white buttons in the salad bar!”); a spiky puffball one called lion’s mane; and a stick-shaped one called reishi which they package for use as coffee stirrers. While many of their customers (particularly people without access to quality health care) key in on mushrooms’ purported medicinal benefits, Chris and Deana are careful not to over-promise. 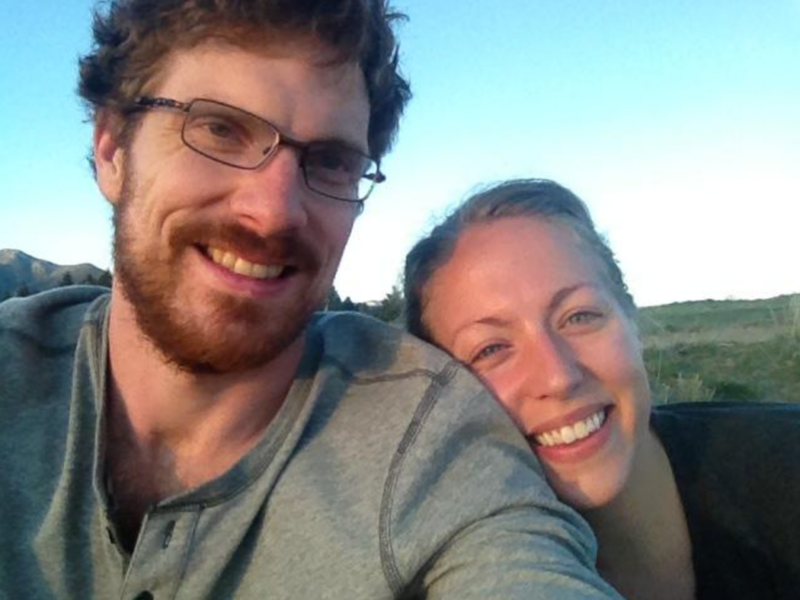 After about three years in business, Deana and Chris are experiencing every entrepreneur’s ideal problem: customers’ demand is exceeding their supply, both in terms of volume and variety. To keep up with all the locally-grown mushrooms Rose’s Fine Food wants for their broth bowls, Sister Pie wants for their savory scones, and The Farmer’s Hand wants to stock on their shelves, Detroit Mushroom Factory will be expanding into a formerly obsolete warehouse near Chris and Deana’s home in Detroit’s North End. The pair is also raising money to buy more robust equipment like a high-pressure misting kit and a commercial refrigerator. Together, these changes will mean a hefty increase in production capabilities, customer satisfaction, educational opportunities, and community building. She and Chris are talking with administrators at the elementary school near their new space about offering field trips and hands-on mushroom workshops to students, and they want to expand into other green markets across the city. They’ve gotten interest from beyond Detroit’s borders—like fine dining restaurants in Ann Arbor. “But before we start reaching out, we want to make sure that every Detroit restaurant and resident who wants Detroit-grown mushrooms is getting them,” Deana says. 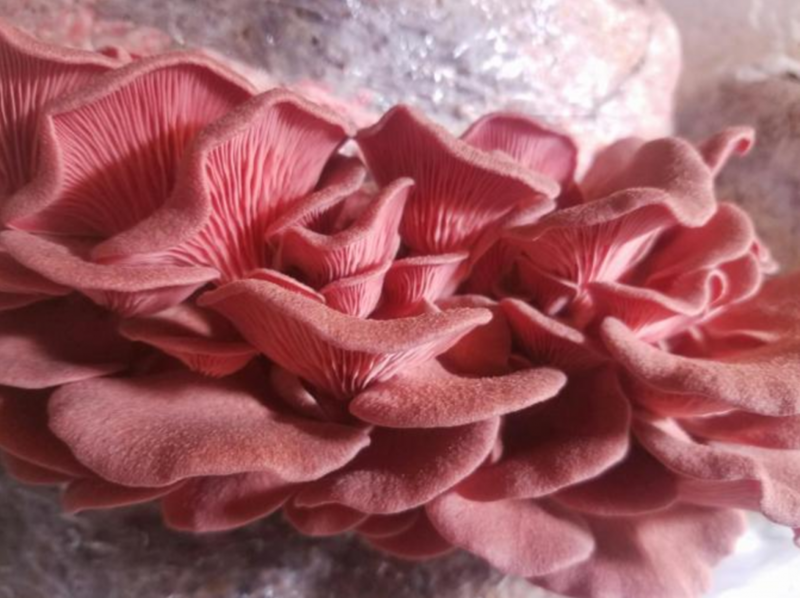 Learn more about Detroit Mushroom Factory on their campaign page, and check out all the Eastern Market Growing Communities Matching Grant Challenge winners. If you see something that moves you, remember your supporting dollars go twice as far until April 3!